The Bridegroom Services of Holy Week have an important theme of love, God's desire for loving union with us, and our willingness to respond with love to Him. One way to describe this Holy Season is opportunity for union with Christ on a deeper level. May our journey to Holy Pascha be one that reaches this goal. We have begin our Holy Week. Please join us for one of the services that remembers different aspects of our Lord's final days leading to His Cross and Glorious Resurrection. This is an opportunity for us to grow in our love for Him who gave His life for the world in His love for us. Thanks be to God for all the mercy and grace He extends to us! Visit our Archdiocese Web Site for Resources to understand Holy Week. Read Fr. Alexander Schmemann's "Liturgical Explanation for the Days of Holy Week." 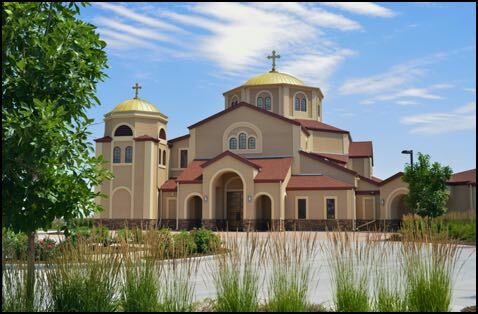 Pan Orthodox Women's Retreat will be hosted at St. Luke's. See the flyer below for information.